​Bargain Special ... The Sheaffer pen trays, Item SH010, listed in Sheaffer page are now discounted to $30 per tray if you purchase from one to five trays. They are also discounted to $25 per tray if you purchase six or more trays. This is a bargain price for these very high quality and very versatile pen trays to store and carry your pens around. ​Electronic Payments ... I am now set up to accept payments through Square, and Dwolla. With Square you can pay with your credit card if you are located in the U.S., Canada, Japan, and Australia. You will still be able to pay with the old fashioned check or money orders if you are located within the US. You will still be able to use PayPal if you are located outside of the U.S., but only in countries which do not accept Square. International Shipping. USPS continues to change the way they process international packages. More and more USPS first class and priority international packages are becoming non traceable, even within the US leg of the journey. Customer service at USPS has gone from bad to worse when a customer contacts their 800 number to check the whereabouts of an international package. I strongly encourage every customer to read the revised options to ship your international packages outlined in the "How to Order" section of this website. Please be aware that if you want to use the cheap shipping options your international package may not be traceable at all, and there is nothing I can do about it. USPS Express International is now the recommended form of shipment for any pen purchased in this website. If you are very particular about your ability to trace your packages at your convenience, the Express International option is a must for you. I will not be able to contact USPS to attempt to trace your package should you elect to use a cheaper shipping alternative. No exceptions! Tired of having to wait for months to get your fountain pens restored? Repair Services now offered to the public. Focus: Vintage flex. Turnaround is 5 business days. For more information please visit the Repair Services section of this website. 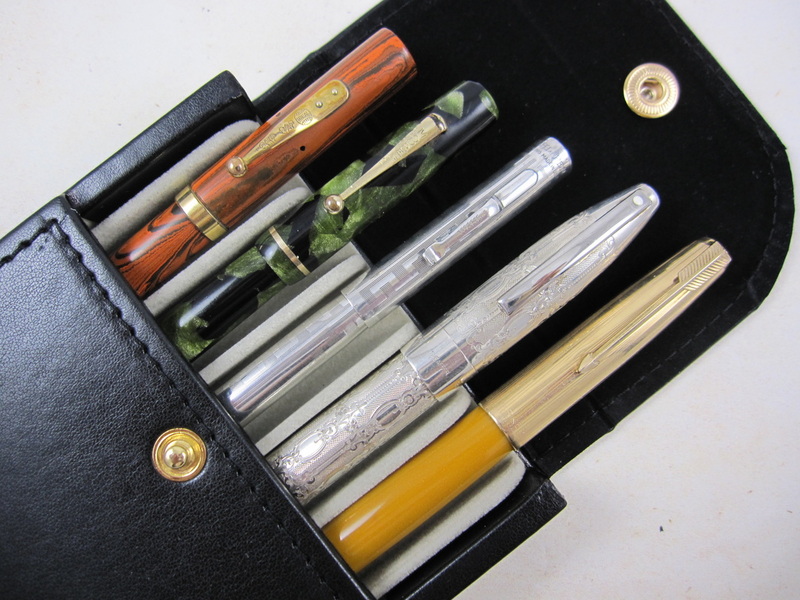 www.VintagePen.net specializes in restored vintage fountain pens with all types of flexible nibs from the golden era of flexible writing. The offerings in this site focus on Waterman's, Wahl Eversharp, Mabie Todd, and other vintage fountain pens with semi-flex, flexible, super flex, wet noodle, as well as other rare and exotic nibs. It also offers a very limited selection of quality modern pens that I have upgraded with vintage 14k flex nibs. Two individuals exposed me to pendom world since my early childhood: My grandfather, an avid calligrapher, and my stepfather who used his Parker 51 fountain pen as a daily writer for more than 30 years. The Palmer Calligraphy Method was taught at our school, developing my appreciation for great calligraphy and shaping my penmanship skills at an early age. Over the years I acquired pens, but the passion for vintage pens came in 2006 as I was seeking a Parker 51 fountain pen similar to my stepfather's lost pen. I found a fully restored and identical pen to my father's beloved Parker 51 and gave it to him as a surprise gift. There were tears in his eyes as that Parker 51 pen brough memories from decades of his life. Since then, I have been looking for "a few more pens" for myself. This search has led me into everything fountain pen related, accumulating "a few more pens" along the way, mostly vintage models. Flex Nibs - In 2008, my interest turned into vintage calligraphy and vintage pens with flexible nibs, which represent about 70% of my personal pen collection. Today, "the ultimate writing experience" is writing with a super flex or "wet noodle" nib combined with inks that create lots of shading. Using a writing instrument will not get any better than that, in my humble opinion. The journey into flexible nibs and flexible writing led me into learning the nuances of flexible nibs and how to enhance their writing performance. Flexible nibs have different ink demands as different levels and types of pressure, flexibility, speeds, and line variation are applied. A great writing pen is not a matter of probabilities or chances, but the result of a well made pen and nib that has been designed, manufactured and professionally set up for those flex purposes. Wanting to enhance the writing performance of my flex nibbed pens, I had to learn how pens are repaired. Mike Vanness taught me pen repair and I began restoring my own pens in early 2010. A huge and fast learning curve took place, breaking a few pens along the way. I now perform 90% of all of my pen repairs and have also developed my own techniques to micro adjust the seating of the nib and feed in pens with flexible or exotic nibs. This micro adjusting process, including all the necessary testing, is a very time consuming task. The results in pen and nib performance are simply beyong gratifying and rewarding, setting my vintage flexible pens and nibs apart in the fountain pen marketplace ... or as a happy customer graciously said, "your pens and nibs just sing beautifully on paper." Ready to venture into learning to write with a flexible nib? Check How to Use Flex Nibs. It will provide you with the basic tips to launch you into the wonderful world of flexy writing. It will allow you to learn with confidence and without fear of damaging your flex nibs. The Links page in this website has direct links to videos of individuals writing with flexible nibs as well as other great websites on the subject. 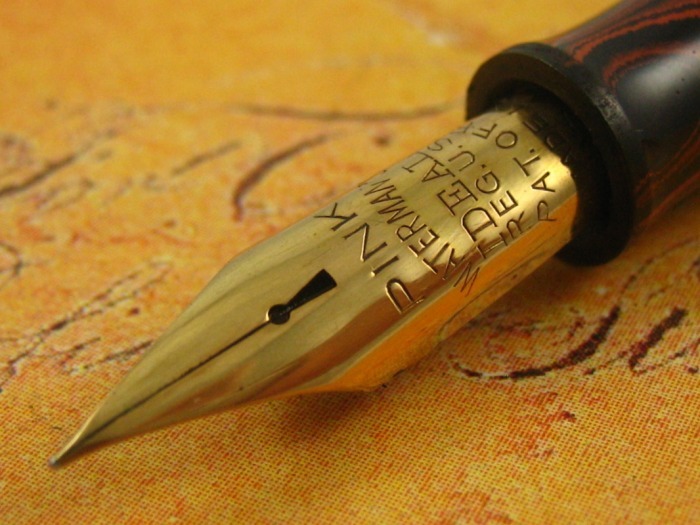 Want to become familiar with all the nuances in the world of flexible nibs? Check the Grading Flex Nibs, the Performance Flex, the Flex & Fast Writing, and the Modern w/Vint. Flex sections of this website. Those articles combined are the most comprehensive compilation of information about flexible nibs available at the moment. 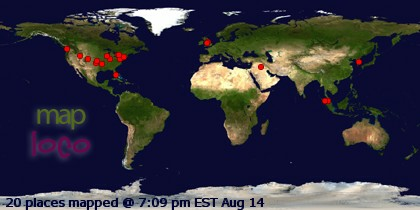 I hope this information is very helpful to you. Each pen offering in this website includes the complete nib grading criteria, and it has been determined by someone who specializes in flex nibs and knows how to write with them. When you purchase a pen from www.VintagePen.net, you know exactly what type of flexible nib you are getting. No need to be purchasing bunches of pens anymore, hoping to find something close to what you are looking for. This feature is another unique service in the fountain pen marketplace. www.VintagePen.net launched in October 26, 2009 and hundreds of orders have been filled and shipped to all seven continents throughout the world (click on the two maps at the bottom of this page). This humble website is a dear hobby of mine and not a full-time job or a business. I make my living from other occupations. I have not uploaded all pens available for sale, a very time consuming task to include all the information, pictures and writing samples. If you have are looking for a specific pen and do not see it listed in this website, please contact me as I might have it in my stash of pens to upload or in my personal collection. I also have a few spare flex and exotic nibs available. We all go through phases with different pen brands, styles and models. Should you have some pens that do not make it through your regular rotation and you are ready to part with, please check the Sell Your Pens & Parts section of this website for additional information. It is my hope that you can also find and buy "a few more pens" for yourself at www.VintagePen.net and continue enjoying your journey on vintage pens, flex nibs, and penmanship. Copyright © 2009 - 2019 Mauricio Aguilar. All Rights Reserved.